This weekend on impulse, I rode to Stuntney, near Ely, to visit my parents. Dad is 85 and mum a little younger. 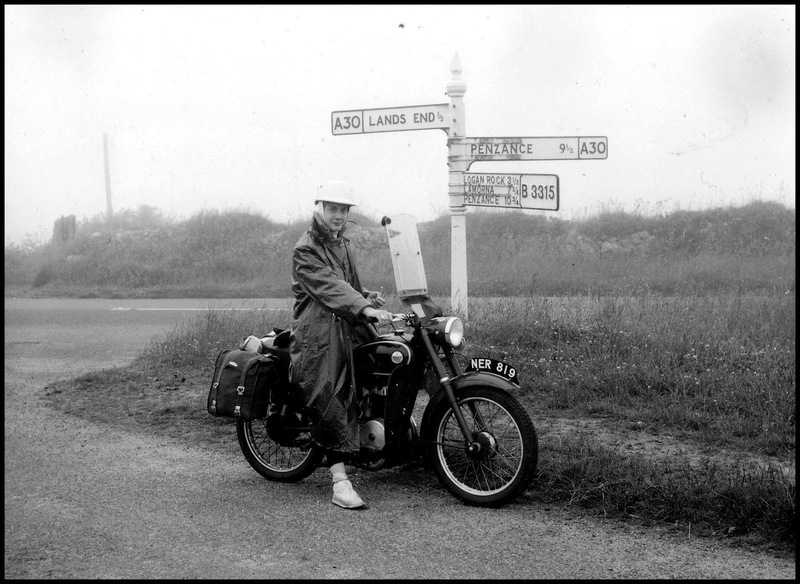 They have been riding motorcycles since the 50s, when they toured the Alps on a Francis Barnet Cruiser 225cc and visited Lands End on their James Captain 197cc. 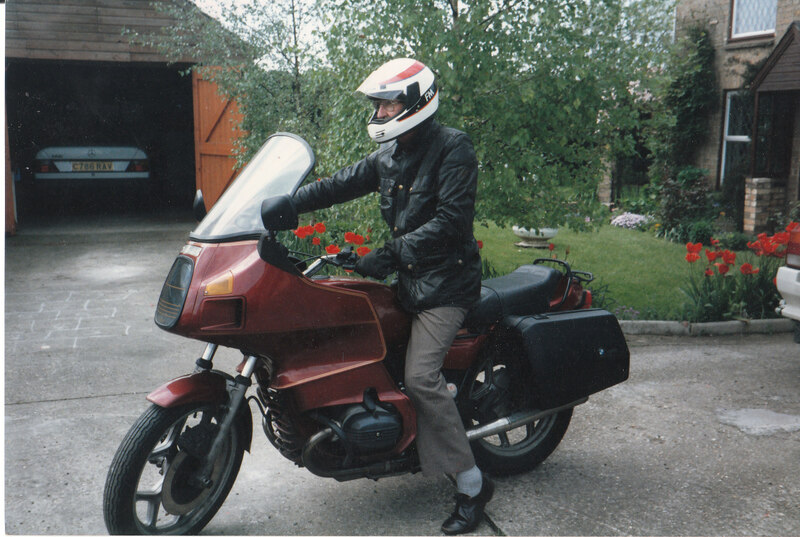 Picture – Mum and dad toured Britain on a James Captain 197cc. Approaching Lands End in 1955. Dad retired from motorcycling in the 90s after selling his BMW R80RT and bought a little 125cc twist ‘n’ go scooter. 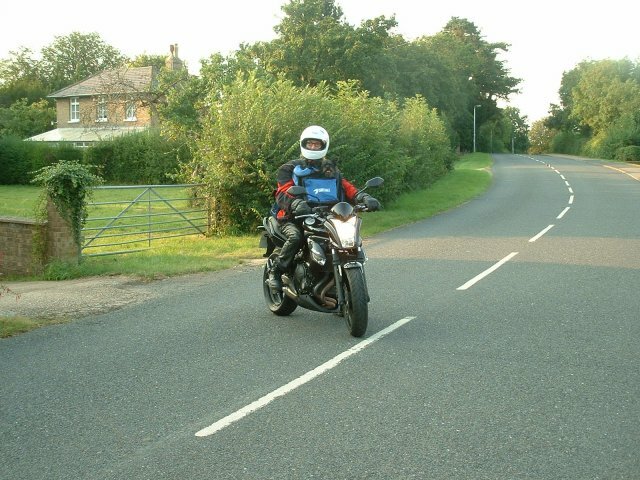 When I started motorcycling again this year after a 20 year break, I bought a BMW R65 and stored it in my parents garage in Stuntney, near Ely, UK, while I passed my full licence. My dad was so enthused by it he went on Ebay and bought one too. At 85 years old this was an impulse decision. Picture – The two BMW R65 mine the blue one and dad’s the red one he was inspired to buy after seeing mine. Today dad and I went for a ride together to Cambridge on one of the hottest days of 2012. I was on a Kawasaki ER6n, a courtesy bike from my insurance company while my BMW R65 is repaired after being damaged while parked by a careless delivery van driver. We drank a coffee in Cambridge and then went to see the punts on the River Camb. There we found a fine tree to cool down beneath and ate ice creams. Dad meditated on how the cows seemed perfectly content with life, hanging around beneath the tree shade, chewing the cud. He said they don’t know they will be slaughtered for meat and so it didn’t concern them. Happiness then, is not worrying about life, we agreed, as we slurped a Cornish Clotted Ice Cream each. 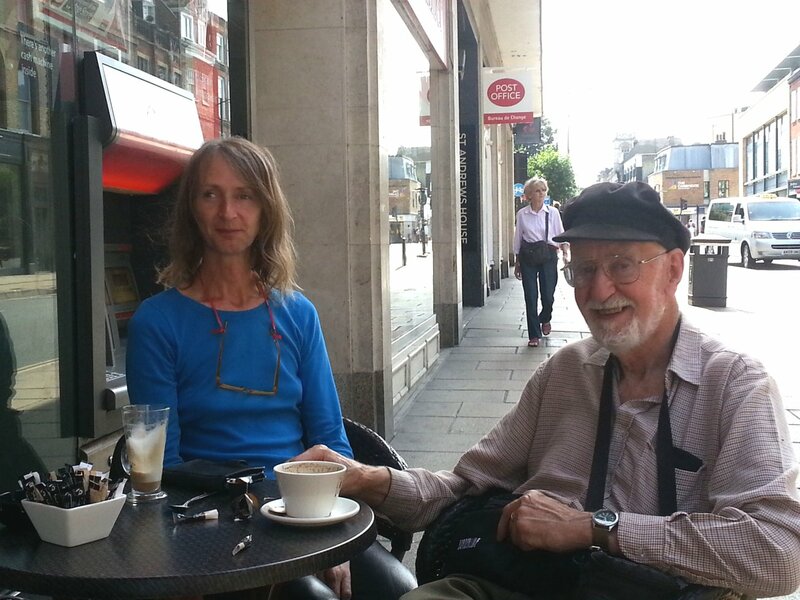 Picture – Coffee in Cambridge. 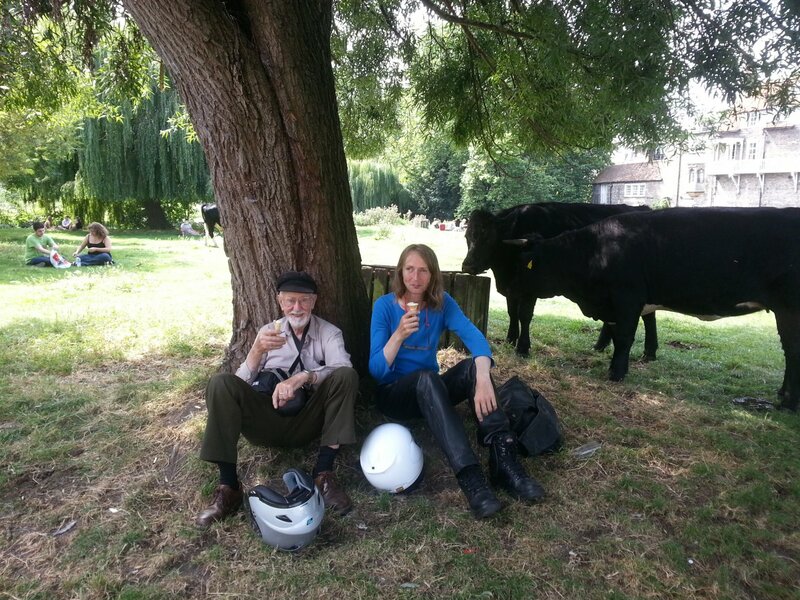 Picture – Ice creams and cows in Cambridge. We returned and swapped bikes so dad could try out the Kawasaki 650. Back in Stuntney mum had enjoyed a peaceful afternoon and made a meal. In the evening I returned the 55 miles to Woodbridge with Loba in her rucksack. The temperature was still 30C but the air was cooler. Back home I sat down at my desk thinking what good choice it was to get into motorcycling. Picture – Setting off home from Stuntney with Loba.